I've liked most of the stuff you've posted on here @musclehog but come on man. I'm here if you ever need someone who has been through it. Feel free to message me anytime brother. Am i seeing this correctly? Bitstamp sent them XRP for wallet creation, and it might soon be able to be purchased on the Safellos platform? wow @JannaOneTrick thank you so much for taking the time to translate this for us. "Everyone sees today that it is an important challenge to restore confidence, restore authority and that this trust can come simply from the collective opinion of citizens who trust each other through the blockchain." "The solution will come from the consumer, the citizen, from all those who participate in economic life and the blockchain is a way to restore this democratic trust." Such a well written speech from a politician who seems to actually understand what is taking place here. The dominoes are starting to fall and our ideas and plans are spreading to every corner of the earth. With Ripple in particular we are Democratizing finance, and are beginning to see a race to the bottom which should become more and more prevalent as the Ripplenet network becomes more expansive. Finance and some of the other industries that are spoken about by Mr. Bruno﻿ Le Maire have become walled gardens of inefficiency and overhead costs that are passed on to consumers and employees. In a growing world there is absolutely a need for Trust and Blockchain delivers that immutable trust better than anything we have ever created! You are either being purposelessly ignorant to the plethora of utility cases propping up every month or you are just playing dumb. Open your eyes man, the market decides the value of any asset your opinions and feelings don't get to have a say! Very nice to have Santander champion what Ripple has been building for so long. The product will use xcurrent, and it will allow for ANYONE to exchange value even if they do not hold a Santander account. This is the type of revolutionary banking that is to come for the rest of the world! Wow this is ******* SICK. Way to go Coinbase!! My favorite part of all this, and hopefully i'll still be around to watch, will be witnessing these giant institutions fight to lower their fees to get more customers. If Ripple is successful it will be a race to the bottom (fees/spreads and whatnot) to draw in more customers. Obviously this is the longterm play, yet when the tech and utility has fully matured competitors will be priced out charging exorbitant fees. A true Financial Revolution! Man our boy flakes was fighting the good fight in the comments way back in 2013. Are you still here flakes? Is the tweet gone already? I just spent way more time than i'd like to admit searching. The tweet looks superimposed in the article picture. How can you allow yourself to become this close minded? Everyone should take the time to watch this!!! R3 will develop a POC with Swift. Some fascinating slides in there, and lots of info on Corda Settler. We're talking about an opportunity to be apart of something that will revolutionize payments as we know it. This could turn out to be an incredible early find for all of us here. 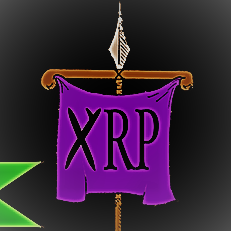 So yes as hard as it would be to watch xrp stay stagnant, I would love the longest stretch of time possible to easily accumulate more. guys come on im hoping the price goes down here not up, i really need to keep buying more. How are all these digital value systems going to interact with one another? The masterstroke in my opinion was ripples forethought to develop the Interledger Protocol. I don't know about you guys but I find this hilarious. What in the hell was he even thinking with that flow chart! I've been saving articles and screencapping comments for 2 years now. When this ****** finally starts to really fly I plan to be one petty troll! MecuryFx is going to pull their big dicks out on an entire industry... It's happening. This is one of the coolest days to be a Ripple supporter!! I can't wait to see what you come up with Wieste, I cannot think of a more deserving BELIEVER !! Congratulations if you happen to stumble across this post! Wow this is fantastic news, companies are starting to take notice! 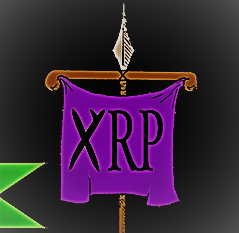 I have always felt one of the biggest barometers of XRP success would be watching the acquisitions of some of the early pioneers of Ripple tech. As this ball gets rolling i would not be surprised to see some of our smaller ripplenet members sell out to the big boys. Nothing like getting likes and retweets!